Acknowledged as one of the major sculptors and avant-garde artists of the twentieth century, Constantin Brancusi (1876-1957) also remained one of the most elusive. His mysterious nature was not only due to his upbringing in Romania – which, at the time, was still regarded by much of Europe as a backward country haunted by vampires and werewolves – but also because Brancusi was aware that myth and an ‘aura of otherness’ appealed to the public. This self-mythology is embodied in his white atelier in Montparnasse, Paris. 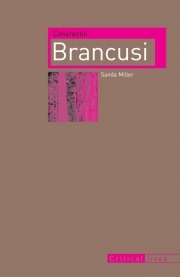 In Constantin Brancusi Sanda Miller looks beyond the mythology of the artist to show us Constantin the Romanian student, as well as Brancusi the celebrated artist. Using new material, including private correspondence from Brancusi’s archive in Paris, works from Romania, and Brancusi’s own photos of his studio, the author weaves together and interprets a wealth of information, bringing to life his early years in Romania, his move to Paris and his years at his studio. She relates how his art scandalized the Paris salon, yet at the same time explores how his work connects with the folk art of his homeland. She also provides colourful evocations of Brancusi’s relationships with colleagues, dealers, friends and lovers. 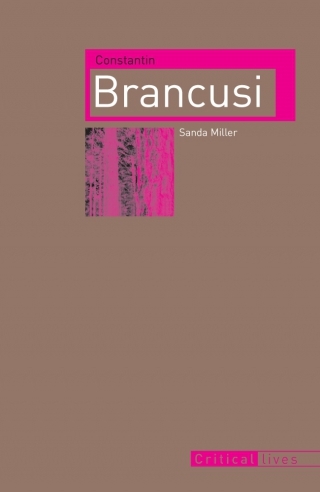 An innovative reassessment of Brancusi’s life and work, Sanda Miller’s perceptive book allows Brancusi to take his rightful place among the most important of the intellectual personalities who shaped twentieth-century modernism. Sanda Miller is a senior lecturer in fashion writing and culture at Southampton Solent University. Her previous books include Constantin Brancusi: A Survey of His Work and The Dark Night of the Soul: Ana Maria Pacheco.